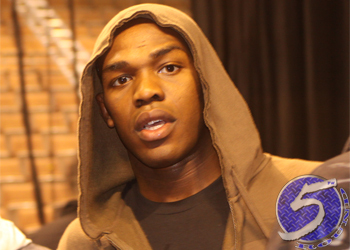 For the second time in two weeks, UFC light heavyweight champ Jon Jones (Pictured) requested and received additional time to complete his two-day court-mandated drug and alcohol evaluation. Jones was scheduled for sentencing Tuesday after pleading guilty to DWI in May, but appeared at the New York courthouse in person with his attorney to ask for another extension. Jones was previously granted the same request on June 19th. According to PressConnects, sentencing is now set for July 31st in Binghamton City Court. Shortly after getting his wish, Jones’ legal team released a statement on their client’s behalf. “Mr. Jones wishes to express the following to his fans, friends, and, most of all, his family: By pleading guilty on May 29th, Mr. Jones accepted responsibility for his actions,” the statement read. “This process has been a learning experience for this young man. He is remorseful for his conduct, but thankful for the opportunity to accept responsibility and to grow as a person. On May 19th at around 5AM, the skyrocketing superstar wrapped his $190,000 Bentley around a telephone pole near the corner of Grand Boulevard and Helen Street in Binghamton. He was arrested on the scene for suspicion of DUI. Under the plea agreement, “Bones” is expected to receive a one-year conditional discharge and fined up to $1,500. The 24-year-old would also be required to install ignition interlock devices in his vehicles, pay restitution for damage, undergo a substance dependency evaluation and attend a victim impact class. Jones is scheduled to defend his crown against Dan Henderson at UFC 151 on September 1st.